If you can help with a big donation or a small one, please do. The future of our 15-year-old experiment in independent, investigative journalism is at stake. First option: You can make a tax-deductible donation by credit card at the Web site or by check to Consortium for Independent Journalism (CIJ); 2200 Wilson Blvd. ; Suite 102-231; Arlington VA 22201. Or you can use PayPal (our account is named after our e-mail address “consortnew@aol.com”). A DVD of the PBS “Frontline” documentary “The Election Held Hostage,” co-written by Robert Parry. 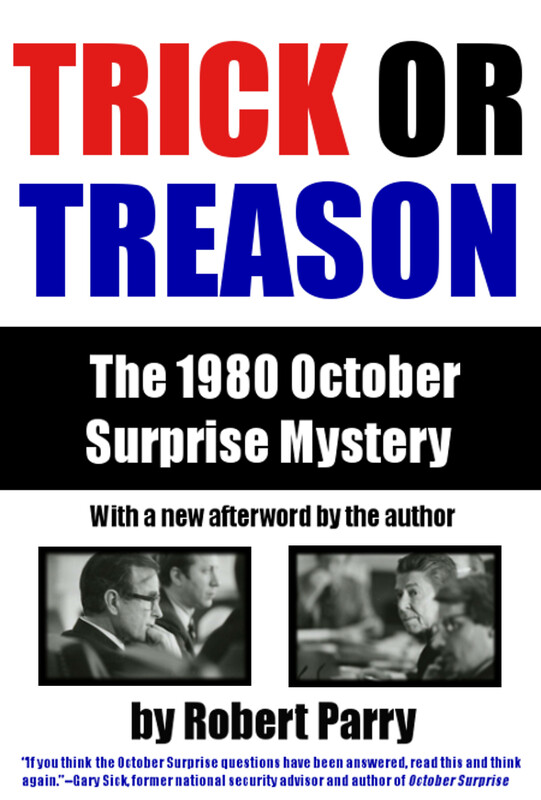 It explores whether Republican skullduggery with Iran was a factor in electing Ronald Reagan. Or, filmmaker William Brandon Shanley’s documentary, “The Made for TV Election,” which examines the role of media manipulation. 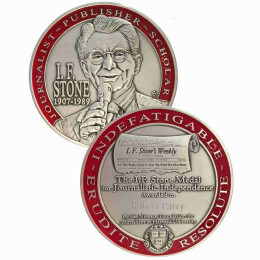 It is narrated by actor Martin Sheen. For $100, you can get both. And for $125, we will add the two-DVD set of the closed-door congressional debriefing of Israeli intelligence officer Ari Ben-Menashe, describing his role in these historic events. Once you make your donation, simply e-mail us your selection at consortnew@aol.com. If you’d prefer, a book instead of a DVD, you can ask for an autographed copy of one of Robert Parry’s last three books Lost History, Secrecy & Privilege or Neck Deep as a substitute. Just follow up your donation with an e-mail expressing your choice. Third option: if you can’t afford a donation right now, you can also help us reach our fundraising goal by taking advantage of our deep discount for the two-book set of Robert Parry’s Secrecy & Privilege and Neck Deep (co-authored with Sam and Nat Parry). The sale price for the set is only $19, postage included. For details, click here. For details about this bulk book order, click here and scroll down to the $59 offer. 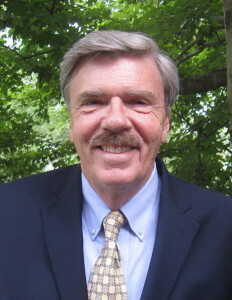 Robert Parry broke many of the Iran-Contra stories in the 1980s for the Associated Press and Newsweek. He founded Consortiumnews.com in 1995 as the Internet’s first investigative magazine. He saw it as a way to combine modern technology and old-fashioned journalism to counter the increasing triviality and timidity of the mainstream U.S. news media.